The chant of Michelle Robinson's Strong Woman Song and the beat of her drum filled a normally quiet courtroom on Wednesday morning. It was an anthem for Indigenous women, dedicated on this day to Janel Squirrel, who would never hear it. The chant of Michelle Robinson's Strong Woman Song and the beat of her drum filled a normally quiet courtroom on Wednesday morning. It was an anthem for Indigenous women, dedicated on this day to Janel Squirrel, who would never hear it. Robinson's song was part of her victim impact statement at Leo Pantherbone's sentencing hearing where lawyers argued how much time he should spend in prison for manslaughter after beating and strangling Squirrel, 26, in 2015. 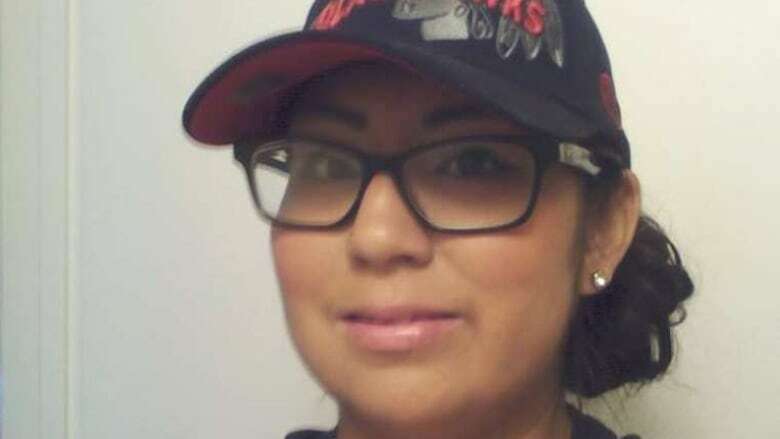 "It hurts to know she is nothing more than a stat of murdered Indigenous woman," said Robinson of her friend, whose family is from Siksika Nation, about 90 kilometres east of Calgary. The Indigenous heritage of both Pantherbone and Squirrel was a theme at the hearing. Before he sentenced Pantherbone to 12 years in prison, provincial court Judge Harry Van Harten took a few minutes to comment on the country's relationship with its First Nations people. The judge noted substance abuse, suicide and disproportionate rates of incarcerated Aboriginal people can be attributed to the transgenerational impact of the country's history of colonialism, displacement and residential schools. "Nov. 3, 2015 will forever be a sad day for members of our Indigenous community," said Van Harten. "Particularly for the family and friends of Janel Squirrel but also for the offender." It was on that day that Squirrel's brutalized body was found. She had been punched, beaten with a broom handle and strangled. Pantherbone had promised to be Squirrel's "sober buddy" in a program for alcoholics. She was trying to get sober for her kids. He was trying to get sober because when he drinks, he gets violent. Although lawyers framed the killing as an act of domestic violence and there was evidence to suggest their relationship became intimate, Squirrel's family was adamant the pair were not a couple. Whatever their relationship, Pantherbone violated it in the most violent way. Squirrel had injuries to her head, neck, stomach, back, arms and legs. She suffered broken ribs, a broken sternum and a torn liver. A broom handle with Squirrel's DNA on it was found broken into three pieces in the apartment. Janel Squirrel is the third woman Pantherbone has faced criminal charges for abusing. He was on probation for a domestic violence-related offence at the time he attacked Squirrel, according to prosecutor Darren Maloney who called the killing "horrific and senseless." 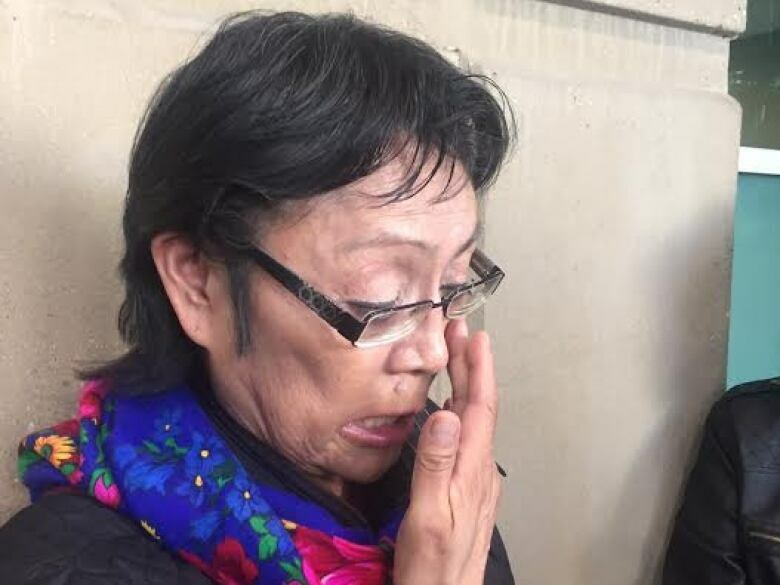 Pantherbone's Gladue report — a report on factors in an aboriginal offender's life that may have contributed to their criminal history — details a "horrific childhood," said defence lawyer Darren Mahoney. Alcohol and violence have always been a part of Pantherbone's life. "He's never known anything except for violence, abuse," said Mahoney. Before Pantherbone's mother abandoned him at the age of five, her boyfriend abused him and every other member of the family. Pantherbone was forced to attend a residential school as a child and by the age of 10, he was drinking. In 2013, his father was murdered. Though Van Harten said an offender's background factors do not provide an excuse or justification for his criminality, he did note Pantherbone lived through "family chaos, emotional abuse and neglect" in his childhood. A pre-sentence report found Pantherbone to be at a high risk to violently reoffend. Squirrel's family "prayed for dear life for Janel" after she was born prematurely, said her mother Fay-Ann Three Suns. "She was our princess, our joy, our love." Squirrel wanted to go back to school for a post-secondary education. She was the mother to three young children. The father of those children, Jonas Alexson, used his victim impact statement to commit to beating his own struggle with alcohol. He called Squirrel "the love of my life," even though the pair had broken up, and said he will kick his addiction for his children. "My children only have one parent on this earth," said Alexson. "We are going to try and pick up the pieces of our lives from what Leo Pantherbone did to us."